Industry body the UK Fashion and Textile Association (UKFT) has secured continued funding for emerging UK fashion, textile and footwear companies who want to grow their businesses in key markets. UKFT has been working closely with government body the UK Trade and Investment (UKTI) to secure continued levels of funding for fashion, textile, accessories and footwear companies across the UK. The Trade Show Access Programme grant (TAP) is vital for small businesses who want to expand in international markets by funding their stands at overseas fashion and trade shows. 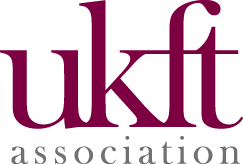 UKFT is the largest user of the scheme which has been essential to thousands of UK business success stories over the last 25 years. Many of the great British designers we have seen showing in London, New York, Paris and Milan in the last few weeks began their global journey through TAP funding. In the last ten years alone UKFT has taken over 5,000 businesses to shows using the TAP scheme. Under an agreement with UKTI the funding allows applicants to attend up to six different overseas trade shows or events with UK government support. UKFT is supporting and promoting over 300 UK designers at Paris Fashion week this week, where it will guide them through the high profile shows. More UK designers show at Paris Fashion Week than any other Fashion Week and is a vital showcasing opportunity.